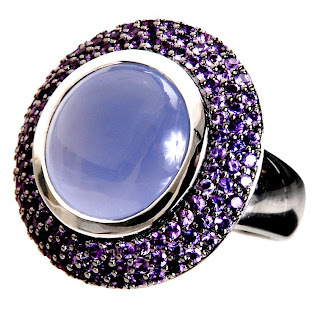 Beautiful Incentives: Gorgeous Amethyst Couture ring Giveaway! Gorgeous Amethyst Couture ring Giveaway! My fellow blogger and friend Shonna of Bargain Hound Daily Deals is hosting an amazing Giveaway you don't want to miss. Who likes jewelry? Who likes high end jewelry? Why not try to get some free?! Look at this gorgeous Amethyst ring by Raymond Hak Couture. It is valued at $900 retail! You can see her review here and Enter below! I love the Twigs Collection earrings in Blush Silver. Thank you for hosting this giveaway. I love the sterling silver flower necklaces. sterling silver flower necklaces in smoky quartz, blue topaz and white topaz! I like the garnet and amethyst jewelry set.